The area's history and cathedral are just a few of the reasons to vacation in Prague 5. Well known for its local tours, sightseeing and biking, this romantic city won't disappoint. Prague Castle and Old Town Square are just a couple of the must-sees in the area. Many rental homes come with outdoor spaces, separate dining areas and full kitchens, perfect if you want to enjoy some home-cooked meals. Fly into Prague (PRG-Vaclav Havel), the closest airport, located 6 mi (9.6 km) from the city center. If you're traveling by train, Prague-Jinonice Station, Prague-Hlubocepy Station and Prague-Stodulky Station are the main stations in the area. It's easy to get around Prague 5 by jumping on the metro at Jinonice Station, Radlicka Station or Chaplinovo namesti Station. Where to stay around Praha 5? 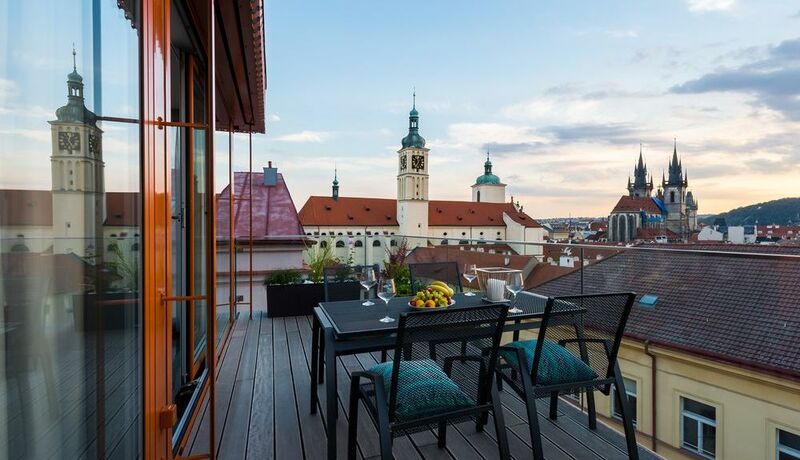 Our 2019 accommodation listings offer a large selection of 1,043 holiday lettings near Praha 5. From 59 Houses to 6 Bungalows, find unique self catering accommodation for you to enjoy a memorable stay with your family and friends. The best place to stay near Praha 5 for a long holiday or a weekend break is on HomeAway. Can I rent Houses in Praha 5? Can I find a holiday accommodation with pool in Praha 5? Yes, you can select your preferred holiday accommodation with pool among our 20 holiday homes with pool available in Praha 5. Please use our search bar to access the selection of holiday rentals available.